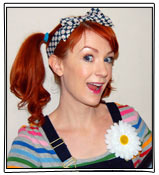 To see what all our delightful entertainers look like, to put names to faces, please click here. Please note that we act on behalf of the entertainers and you are not contacting them directly. We excel at finding the best entertainer for your party or event; we have fun, friendly, fantastic entertainers all over the South-East of England, and we are brilliant at finding entertainers for you at very short notice too. 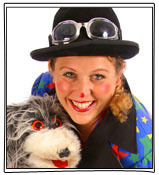 Our children's entertainers are all fun, experienced, talented individuals, passionate about entertaining children, with their heads screwed on and their hearts properly in it. Many of our entertainers we already knew before we set up the Network - some we have known for ten or twenty years - and many more have joined us along the way. 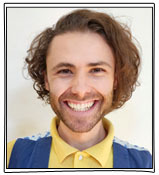 We are always more than happy to continually expand the skills and knowledge of all our children's entertainers, and in the past have had advanced teaching and workshop sessions in magic shows, balloon modelling, face-painting and general party skills too for our entertainers, and we are also very likely to have more in the future. As well as children's party entertainers, The Kids Entertainers Network also provides fantastic professional close-up magicians, caricaturists, fortune-tellers and circus artistes of all types. We have snake handlers, cabaret acts, musicians and singers. 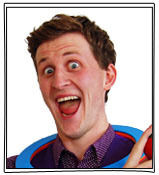 We can offer amazing magic shows and circus workshops in schools and for kids clubs. 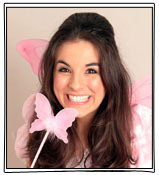 The Kids Entertainers Network is also adept at putting together bespoke packages for events. We can write shows, theme events and seamlessly stitch your entertainment requirements together. Our entertainers are talented, experienced, friendly professionals whose heart is properly in the job, who have the ability to create fun and make children laugh, and the knowledge of what goes into making a truly memorable party. 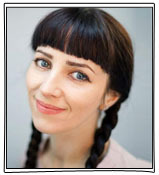 We are also always on the lookout for promising new talent (so if this is you, please get in touch!). As well as being amazing entertainers, we also require that our people are polite, adaptable, disciplined, and have great energy at all times. 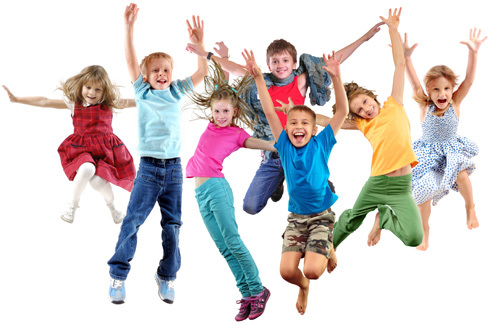 Unlike most other party companies and agencies, the Kids Entertainers Network gives you the opportunity to view all their children's entertainers on the website first, to see what they look like and what party skills and party themes they have. Who's In The Office and What Do We Do? 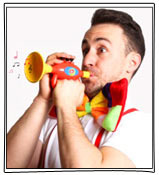 The Kids Entertainers Network are a professional, friendly office team dedicated to finding you the best available children's entertainer for your child's birthday party, family occasion or corporate event. We are ourselves established professional entertainers and most of us are parents too, so we understand how stressful putting a children's party together can be from a parent's point of view, and how important it is to get an understanding, talented, enthusiastic entertainer who knows how to keep children happy and entertained from start to finish. We are not a franchise, we do not mass produce "teen in a T-shirt" type entertainers who come with a few songs, a basic easy-to-learn show and who have little experience of dealing with lots of children (and there's far too many of those about right now). We use established entertainers and we pride ourselves on being expert at finding the right entertainer for the right party. We want to make booking an entertainer as easy for you as possible, as well as making sure your child (or children) has the best day they could possibly ever hope for. Susannah and Kathleen are currently in the office taking calls and answering emails. Unlike most other party companies and agencies, the Kids Entertainers Network gives you the opportunity to view all their entertainers on the website first, to see what they look like and what skills they have and the themes that they do. 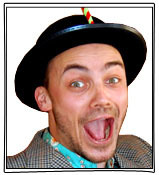 If you have a good idea of the entertainer you would like for your party or event, then that's great! Just give us a call, or send us a text or an email. Then we can let you know if that particular entertainer is available and we'll book them in for you or, if not, we'll find you someone similar. 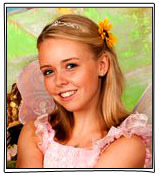 You can see all our children's party entertainers by clicking here. If you would like advice on who we think would be best for your party, then we really love to help and we can let you know who we think would be the most ideal entertainer for your child's party. We have a friendly and helpful team members ready to answer your phone calls and emails, or you can use our easy online enquiry system by clicking here. If you're planning a children's birthday party or other family fun event, the Kids Entertainers Network has a truly top team of wonderful children’s entertainers of all kinds. 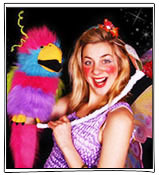 We have children's entertainers in the London area and the South-East of England. We provide all kinds of themed entertainment and we can even offer entertainment for "grown-ups" too! Also, as Christmas will be here before you know it, do remember to book in your Christmas entertainers and Santa "look-alikes" very soon. Our amazing birthday party entertainers astound and amaze with their splendid shows, they delight with balloon animals, they organise fun games, dancing, competitions, and many have fun puppet mascots, circus skills, magic skills and other thrilling skills besides. Children and their parents absolutely love our birthday party entertainers. We can also provide face-painters, balloon modellers, magicians, discos and DJs, puppet shows, bubble show artists, caricaturists, stilt walkers, jugglers, circus acts, actors and promotional people, vocalists and bands, soft play, arts and crafts workshops, fire entertainers and just about anything else you may be looking for. Our entertainers are brilliant at theming their parties and events. Popular themes include superheroes, princesses (or pirates and princesses to include the boys too), wizards (and wizarding schools), Alice In Wonderland, circus, pirates and disco. We are also able and adept at catering to other themes as well, so please just let us know what it is you would like.